Nourishing and balancing your biofield is just as important as consuming good food and clean water. Practised daily, this process will help you stay grounded; to resist being knocked off balance; to be less drained at the end of your day; to deflect the negative energy of others; and to heighten your awareness. This exercise is the basis to all good healing. 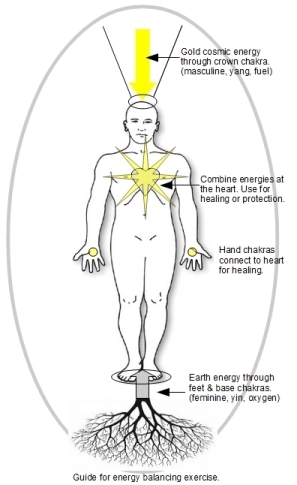 *This "how to" guide is needed if you want to practise the Triple Energy Protection and/or Cord Cutting techniques. Change your focus, Change your life:The paradox of manifesting.